Free knitting patterns are available in every category, from children’s wear to home décor and clothes for men and women. Download and save these easy-to-follow instructions to create warm and cuddly sweaters and scarves for everyone in your family. Chunky yarns and multiple strands sew up quickly to create a stunning, loopy afghan or lap throw. Use oversize needles and a simple stitch to finish your project in a weekend. Knitting is a great on-the-go craft to take with you wherever you go. 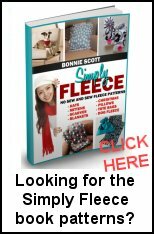 It is a fun and easy hobby that brings out the designer in you and the crafting ideas are never ending with free, customizable knitting patterns.